Stunningly unique! 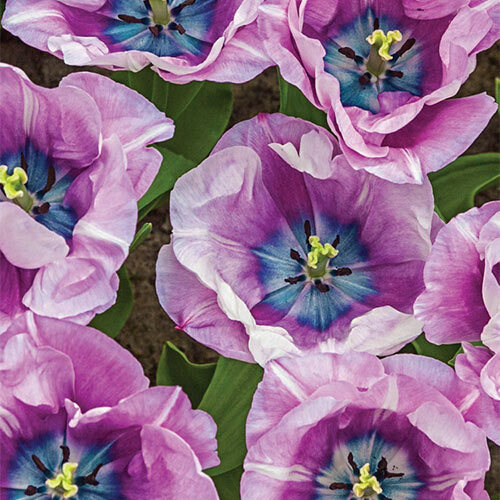 You (and your customers) will simply fall in love with the exotic beauty and bright, rich colors that Triumph Tulip Carré exhibits in April and May. The spectacular blooms open with a bold purple hue that matures to dazzling silvery lilac later in the season. Wonderful steel-blue centers show off dramatically dark anthers that add a touch of flair to the overall look. This is a new cultivar that was launched to much fanfare in 2016. Give your customers first crack at a newcomer that's sure to become a favorite of gardeners nationwide. Add Carré to borders, cutting gardens, decorative pots and fresh-cut bouquets for one-of-a-kind style and flair.